“There!” his voice is a loud whisper, intense with excitement. We follow his finger, and peer intently through the tree branches. Nothing. He starts to explain the location and we trace the trunk of the tree, the branch jutting out … and then suddenly there’s a flash of brown wings and it’s gone again. 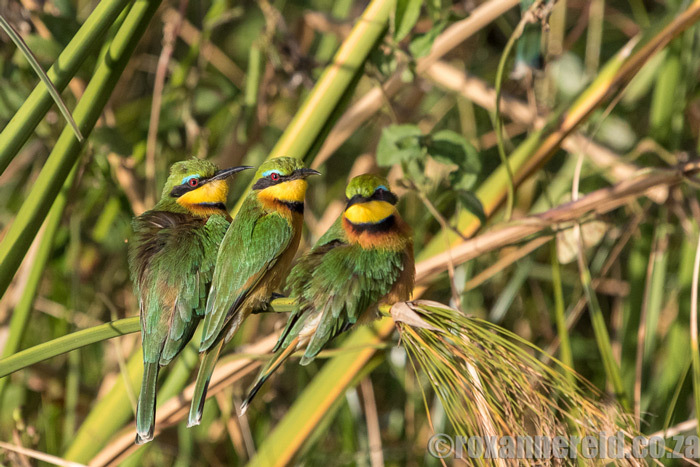 We’re birding in Botswana’s Okavango Delta and this is something special. Luckily, Xigera Camp guide, Go Bateng, has followed the bird’s movement. 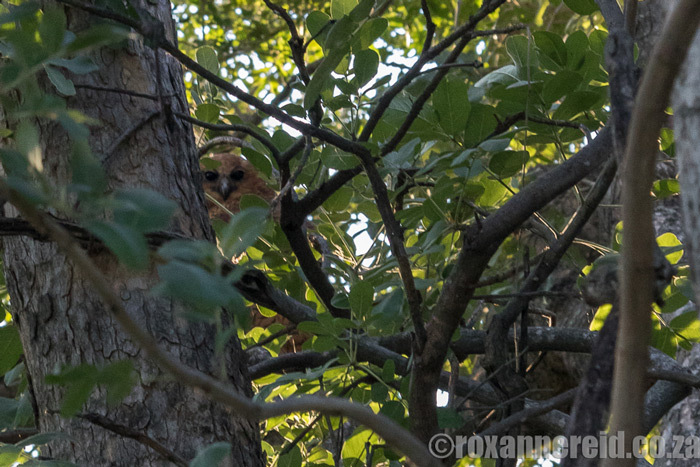 He coaches us until we find the Pel’s fishing owl with our binoculars – a blur of feathers behind a branch. It’s a secretive bird and, therefore, a much sought-after tick for birders. We consider ourselves lucky to have caught even a glimpse, as it’s only the second time in our lives that we’ve seen one! We sit. We wait. We hope. At last our patience is rewarded when the owl flies back to its previous perch. Then it pops into a hole in the tree trunk, just its eyes and beak showing, as an elephant passes by without a sound. 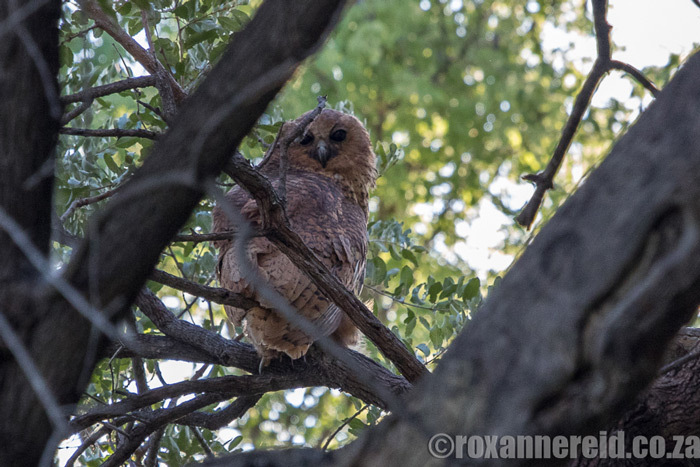 The ginger-brown Pel’s fishing owl is rare, with less than 500 pairs in Southern Africa. 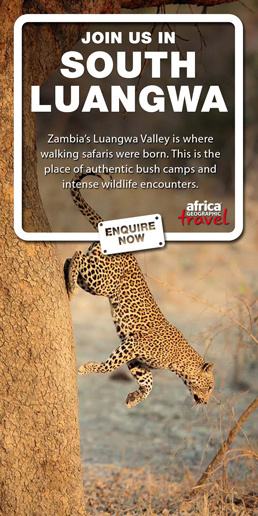 Here in the Okavango, however, it occurs in good numbers, lured by the Delta’s pristine waters, its quiet channels and lagoons. But seeing it was still a stroke of good luck. 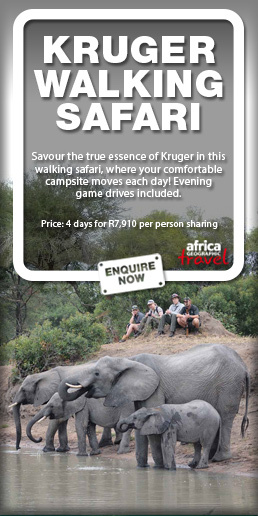 We later met a man who had given up all game drives for two days just to go in search of a Pel’s – without success. As we set out on the water’s channels early the next morning, our Wilderness Safaris guide, Spongy Makgetho, suggested we look again for the Pel’s. Go was piloting the motorboat and he cut the engine about 15 metres away and started quietly pushing it forward through the reeds with a long wooden pole, as if it were a mokoro. The Pel’s is a nocturnal hunter of fish, frogs, crabs and even baby crocs, but it usually spends the day roosting in a shady tree, keeping a low profile. That’s why it’s so easy to miss. Luckily, Spongy and Go knew where and how to look, so we had a second chance. This time the owl posed for a few photos (hey, they may not be prize winning shots, but at least we saw it!). Then it flew to another tree and we decided to leave it in peace. Of course the Pel’s was a highlight of our two days in the Okavango. 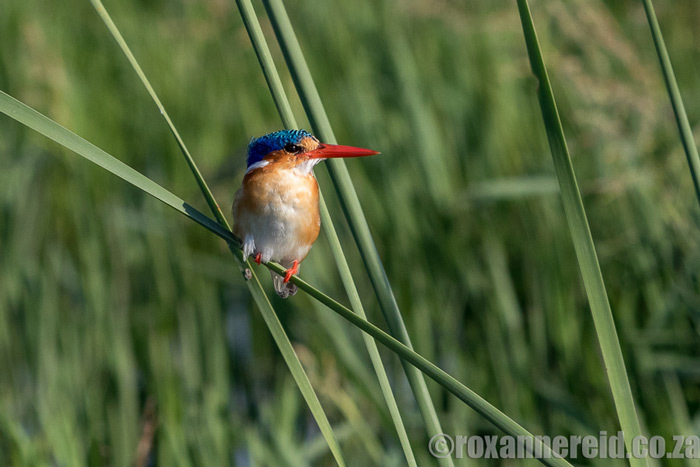 But there were bucket-loads of other birds too, from bateleurs, darters, green-backed and goliath herons to little bee-eaters, pied kingfishers and a malachite kingfisher swaying on a reed in the breeze. Its bright red beak was so long that it looked as though the bird might lose its balance and fall on its face. 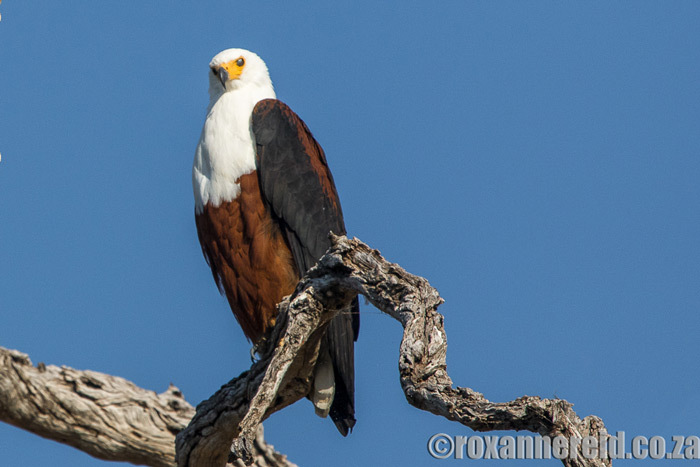 If you love the sight and sound of African fish eagles, you’ll be tickled pink here in the Delta where they perch and call from every second bare-branched tree. 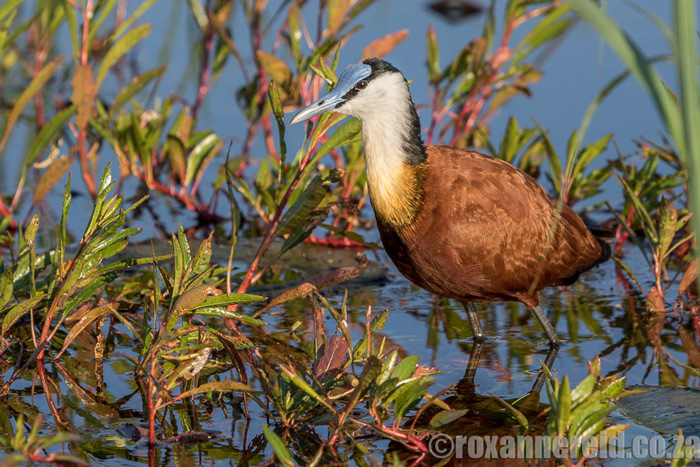 There were loads of African jacanas too, surfing among the water lilies on the wave created by our boat. A mother jacana is unusually sneaky – she’ll lay the small, brownish eggs with fine dark ‘crack’ lines all over them and then high-tail it out of there in search of another male to mate with. Luckily, dad steps up and looks after the eggs and the chicks. He can even hide a couple of chicks under his wings to keep them safe from danger – though the chick’s oversized feet dangling below rather give the game away. If words like rufous-bellied heron, greater swamp-warbler and coppery-tailed coucal send a shiver of excitement through your veins, the Okavango will rock your socks.